Jhumpa Lahiri’s acclaim is all the more remarkable because it is based on a single novel and two collections of short stories. She and James Michener share the distinction of being the only writers to win the Pulitizer Prize for a collection of short stories that happened to be their first published works. Lahiri won the award at the age of 32 for Interpreter of Maladies (1999), a collection of short stories about Bengali Indian immigrants in the United States. The book also won the PEN/Hemingway Award and was recognized by the The New Yorker as the Best Debut of the Year. 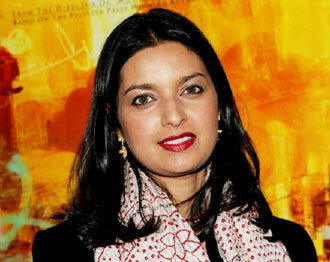 Jhumpa Lahiri was born in London on July 11, 1967 to immigrants from India’s Bengal region. Her family moved to Boston when she was three. “I wasn’t born here, but I might as well have been,” Lahiri remarked. A year later her family moved to Kingston, Rhode Island where her father worked as a librarian at the University of Rhode Island. Lahiri graduated from South Kingstown High School. She attended Barnard College where she received a B.A. in English literature in 1989. She then spent 8 years at Boston University for three separate masters degrees in English, creative writing and comparative literature, followed by a PhD in renaissance studies. She endured countless rejections of her short stories before the 1999 publication of Interpreter of Maladies. Lahiri published The Namesake, her first novel, in 2003 to more critical acclaim and great fanfare in India, especially in the city of Kolkata in the West Bengal, her ancestral homeland. Filmmaker Mira Nair turned the book into a movie starring Kal Penn released in March 2007. Unaccustomed Earth, Lahiri’s second short-story collection, was published in 2008. Lahiri married Guatemalan-Greek journalist Alberto Vourvoulias-Bush in 2001 in Kolkata. They live in Brooklyn with their two children, Octavio and Noor. Lahiri has mentioned that she is working on a second novel. Jhumpa Lahiri interprets the lives of Indian immigrants in the United States. "I don't want to sit around and have my language just be beautiful. I just want to get it less—get it plainer."